In need of new power tools? Well, we've got extremely good prices for you! Get quality pro-grade tools at blowout prices. Browse through our selection of hundreds of tools, and save big time. April is a time for spring cleaning and getting things done around the house. Hurry over to HPM and get started on the long list of household projects you’ve been meaning to get to. Our Bucket Sale is on! Purchase a green HPM bucket for only $1.99 and take 15% off everything you can fit inside! 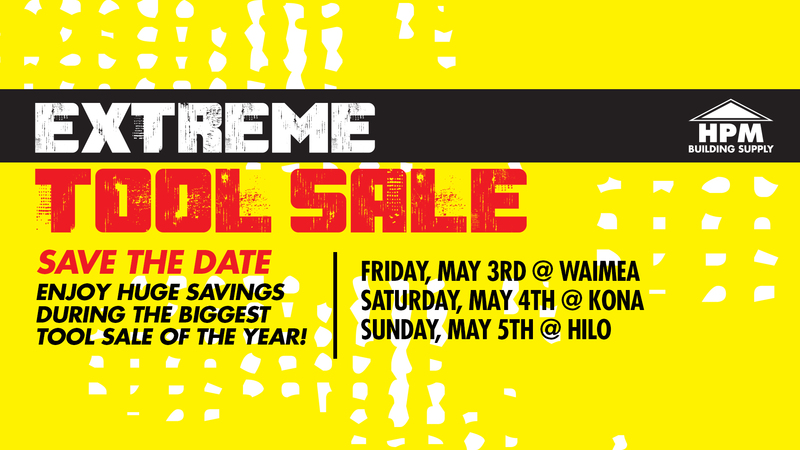 Plus, save on other home improvement products, such as paint, power tools, lighting, cleaning supplies, and more. Everything must go at our annual Clearance Sale! Get steals on thousands of items including power tools, doors, siding, roofing, glulams and beams, hardware, paint, plumbing fixtures, lighting, work wear, and plenty more! Our BIG Clearance Sale lasts from February 8th until February 10th, 2019. 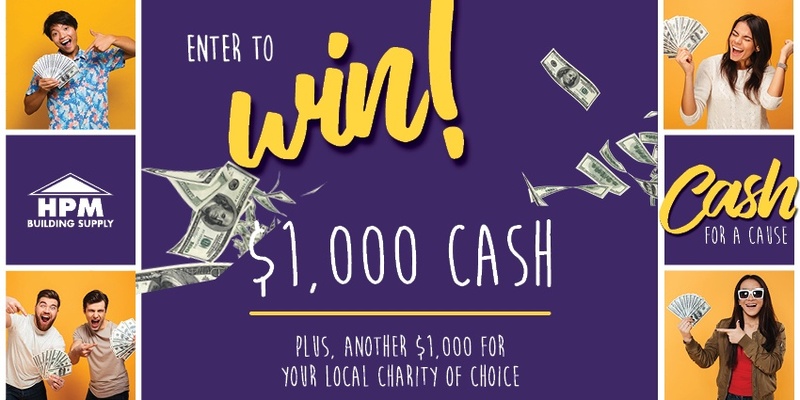 Stop by and save with us! Two weeks of black friday savings at HPM! The Deals Just Get Better and Better! Don't just save on Black Friday. Get extended savings at HPM during our 2-week long Black Friday Sale! From power tools, BBQ grills, outdoor furniture, and home improvement supplies, we’ve got it all! Shop HPM’s three retail stores for big savings during this Black Friday season. Make Your Home BOO-Tiful with HPM! It might be October, but your home shouldn’t be looking like a haunted house all year long! Spruce it up with a little help from HPM! We’ve got deals on stylish front doors, exterior lighting, and more. Shop HPM’s three retail stores for the items you need to make your home ready for trick-or-treaters! 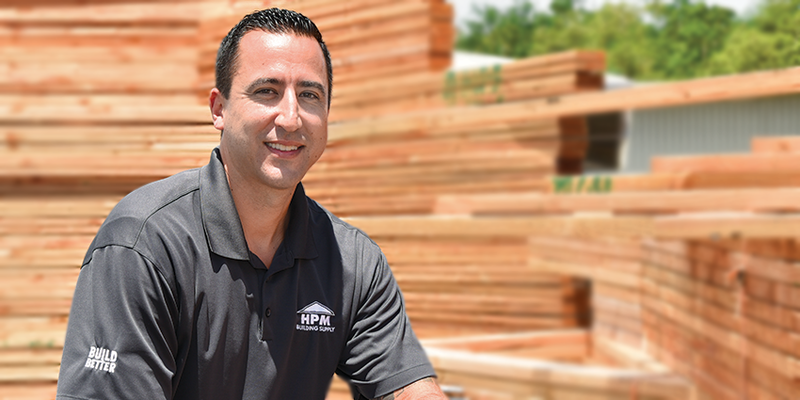 Eric Scicchitano started working at HPM Building Supply in 2010 for two main reasons: our company’s long track record of helping people build better, and the idea of being part of a business that keeps dollars in the local economy. Originally from Syracuse, New York, he fell in love with the culture and community of Hawai‘i Island and HPM, and was inspired by the way people come together to get things done. “I’ve been all over the world and you just don’t see the same sense of ‘ohana elsewhere,” he says. SAVE extra on Pratt & Lambert Paints with Mail-In Rebates! Now through September 4th, SAVE up to an extra $10 off per gallon on your Pratt & Lambert Accolade or RedSeal paint purchase!